The library is designed as a place to read, enjoy and celebrate books. Young children may not be able to read so they need to be attracted to the library. Thus the entire east wall is used to narrate the panchatantra story also used as light curtains. 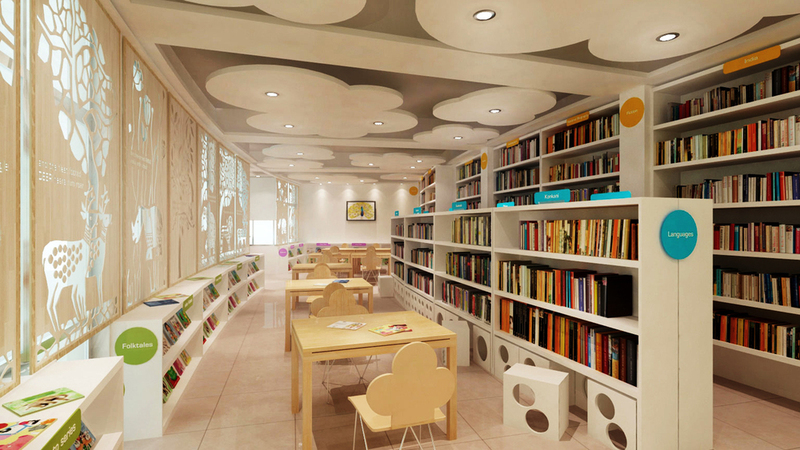 Other elements like the cloud ceiling, bright colors, stepped seating, dice stools, cloud chairs aims to inspire children to visit the facility, to feel comfortable in the library setting and to gently en¬courage to participate in the activities offered.